http://www.superior-air.gr/ - the official website of the aviation company Superior Air, which arranges charter flights from and to all destinations in Greece. The company exists more than 35 years being one of the biggest private aviation companies in Greece at the moment. The main priority for such companies is an informative and convenient website as they provide services to tourists from all over the globe. The most important factor for prospective clients of this industry is a credible reputation of the aviation company and the website greatly contributes to the perceived image. Initially, a webmaster of Superior Air company registered the site in the Semalt system due to his interest in web analytics and ranking monitoring. Our service allows examining analytical information retrieved from clients’ websites as well as from web sources of their competitors based on defined set of keywords within free and paid analytics packages. After the subject had been analyzed, it became clear that many rankings of www.superior-air.gr were ahead of competing web sources. It was important for the client to improve the SERP website rankings as soon as possible because summer vacation season was coming — the period of time, which is the most profitable for the company. Personal Support manager explained that we could help to achieve the best possible results in 2 to 3 months within a FullSEO package. To get started, the webmaster of http://www.superior-air.gr/ decided to purchase a trial version of AutoSEO package at the price of 0.99$ in order to understand how the system works. Another decision implied continued collaboration under a condition that the client experiences tangible results of the automatic promotion by the Semalt system. We have begun working on http://www.superior-air.gr/ website within AutoSEO package on 26th of April. Our SEO experts conducted an analysis of competing websites that provide similar services: charter flights and helicopter rentals. Based on the collected data SEO strategy was developed: promote the site using low-frequency search queries as, according to our experience, a majority of prospective customers search Google using low-frequency keywords. This type of promotion attracts organic and targeted traffic. FYI: Low-frequency search terms — the most specialized keywords that describe consumer needs in the most accurate way. Users make such queries only if they know exactly what they are looking for and become not a casual visitor but a client. 3. We sent the client recommendations about writing SEO text for the index page because there was almost no text there. Note: starting in August 2015, the error correction service is provided by our experts not only within the FullSEO package but also within the AutoSEO package. 4. A process of organic link mass growth on our partner website with the help of Semalt whitehat technology was started. 404 errors pages and slow website loading speed have an adverse impact not only on the promotion but also on the visibility of the site for users. Nevertheless, we adhered to the strategy of organic link mass growth based on low-frequency search terms so that it would grant more targeted traffic to the website. At the beginning of the collaboration, the set of low-frequency keywords had been approved, using which the AutoSEO promotion was conducted. The client was extremely satisfied with the results as well as with an outlook of further improvement of the positions and website visibility, which all led to increased sales. During the trial months, the client has gotten an idea how the system has been working and noted dramatically increased traffic attracted to the site. There were a lot works on internal optimizations ahead. As planned, the client decided to continue the collaboration under conditions of the FullSEO package after he had admitted positive results of the automatic promotion. The company has chosen the FullSEO package in order to eliminate internal website errors and continue backlink campaign with the goal of achieving top positions for all relevant search terms. The FullSEO campaign for www.superior-air.gr was launched on 26th of May. As we have stated before, the main hassle in terms of the promotion was the presence of internal errors on the website. The conducted audit has shown that site loading time was far from perfect, and there were many broken links, which hadn’t been providing any useful information for the visitors. Before we could start the manual link placement on trusted websites of our partners, we had to fix the errors, so they would stop affecting the site in a negative way. 1. During developing of the semantic kernel for the website, it was decided to separate the promotion based on several URLs because the company offered helicopter rental services as well as flight training. In addition, we focused on a category for popular destination Helicopter Transfer To Santorini, so the client could increase sales of this service as he had wanted. http://www.superior-air.gr/flight-academy/ - helicopter and airplane flight training. Let us remind that we were adhering to the initial SEO strategy of the promotion based on low-frequency search terms as they attract the most targeted traffic. FYI: Within the AutoSEO package, we promote an index page of a website with the help of subject related general search terms, and the system automatically distributes backlinks among the set of keywords on an even basis. Within the FullSEO package, we instead create a balanced set, which is relevant to each promoted page, and our SEO experts place the links manually. We have created the semantic kernel of keywords and key phrases for all three pages. After the vector of the low-frequency keyword promotion had been established, a technical audit of the selected pages was begun. 2. Due to the fact that there was no SEO text on the pages subjected to the promotion, it was decided to create quality content using the required keywords. Our copywriters wrote unique SEO texts for all promoted pages. 6. We added ALT-attributes to image tags on the website, because skillfully used alt attributes allow promoting the page to the TOP of Google as well as acquiring traffic through Google Image Search. 7. Website loading time was extremely slow. In order to solve this problem, our specialists implemented web caching, which speeded up the site from 63 to 89% according to Google PageSpeed. The robots.txt file exists to prevent search engines from indexing “bad” pages. It consists of a list of pages and website sections that should not be visited by a search bot. 9. In order to indicate the correct list of pages that should be indexed, our SEO-specialists created a sitemap. 10. We hid 404 error pages from indexing, as they had no useful information for website visitors. 11. While the optimization works were conducted on the website, the AutoSEO linkbuilding campaign was placing links for the index page of the client’s website http://www.superior-air.gr . After all internal errors had been corrected, Semalt’s SEO specialists started manual link placement on the niche-related web sources for each of the three URLs. The graph shows that placed within AutoSEO package links had been supported and manual link mass growth was started on the 6th of June. Within the FullSEO package, we promised the client that he would achieve positions in the TOP in 2 to 3 months. Let’s take a look at the results of the two-month manual package. FYI:Website visibility in Google is a percentage of targeted audience that saw a link to the site on SERP. 2. In the course of this case study, we have already stated what keywords were prioritized by the client. These results lead to a conclusion that the promotion strategy based on low-frequency keywords was appropriate and efficient. Error correction along with internal optimization created the most tangible impact on improved website visibility and positions. The client noted that the sales were increased by 15% during two months within the FullSEO package. Due to the fact that it was high season in Greece, which is characterized by extreme competition among companies, the client was extremely satisfied with the results of the FullSEO promotion. The client’s main target was to increase sales and revenues. Experienced the tangible results of the FullSEO package along with a good rate of return on the investments, the client has decided to continue the collaboration within the FullSEO package. Consequently, our specialists will continue to support old backlinks, gradually grow the link mass in the manual mode and make alterations according to new requirements of Google. The client’s website has been under the FullSEO promotion for almost a year now. As of 26th of April 2016, virtually all positions are in Google TOP 10. Nowadays, the Superior Air Company is one of the most popular aviation companies in Greece. According to the client, the sales of helicopter flight training service have increased so dramatically that he was bound to hire new instructors. Compared to the beginning of the promotion, the sales have doubled, which allowed the company to establish new destinations of charter flights to Mykonos and Patmos as well as include them on the website taking into account recommendations of our SEO experts. FYI: It is important to implement SEO recommendations on all stages of website development. In order to make an optimized for search engines site, it is necessary to contact SEO specialist at the earliest stage. The Superior Air company continues to use the FullSEO package for their website http://www.superior-air.gr/ generating organic traffic and increasing sales. Owing to our mutually beneficial collaboration, the site has become a trusted web source with quality and comprehensible content. Despite the fact that a level of the competition in this area of business is building up, the website possesses its positions in the TOP and makes a decent rival for niche-related web sources from all over the world. 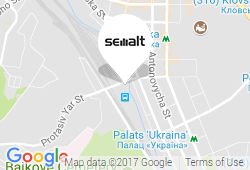 As services provided by semalt.com have fulfilled client’s expectations to the full extent, the webmaster of http://www.superior-air.gr/ has started negotiations with our support manager regarding a development of a new website and ordering a long-term FullSEO package for its promotion. We cannot help repeating that SEO is a long-term investment. The best results can be achieved only in case of a wisely chosen promotion strategy and optimization according to latest website development trends, the area where our specialists have years of experience accompanied by all required assets.